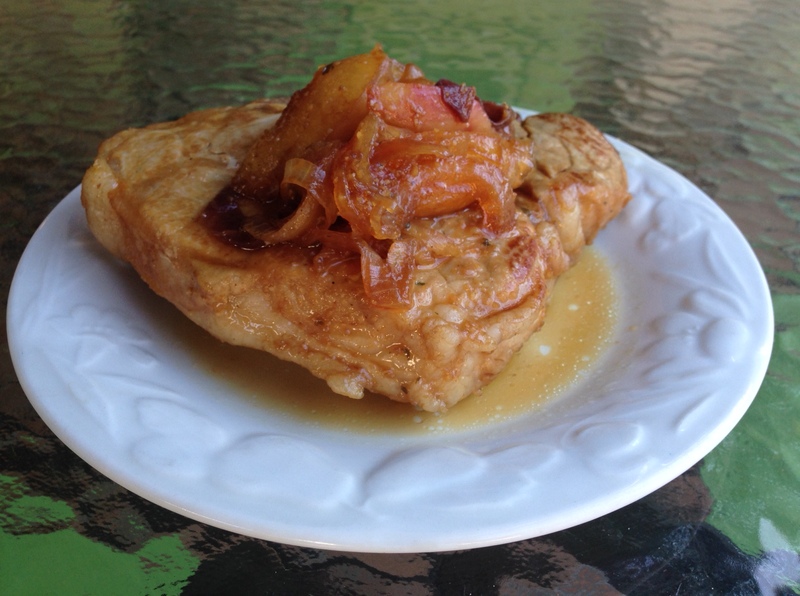 Kickin' it in the Kitchen | Rediscovering a good-food life! So I kinda’ have a problem… I mean I kinda’ had a problem. I was addicted to TJ’s white bean and basil hummus (thank you so much, Heidi, for introducing this to my mouth!) Thank goodness that problem is behind me. Whew! Now that I make my own version of this delicious stuff I’m addicted to it, instead. Directions: place all ingredients in food processor. Puree, dip, enjoy! Unsolicited tips: Most of the above ingredient quantities are approximate. My food processor is on the fritz so I had to use the blender which, with such a thick dip, got a little tricky so I had to add more olive oil and water to get it mixed properly. Remove the white beans and basil from the ingredient list above if you’d rather make a simpler hummus. 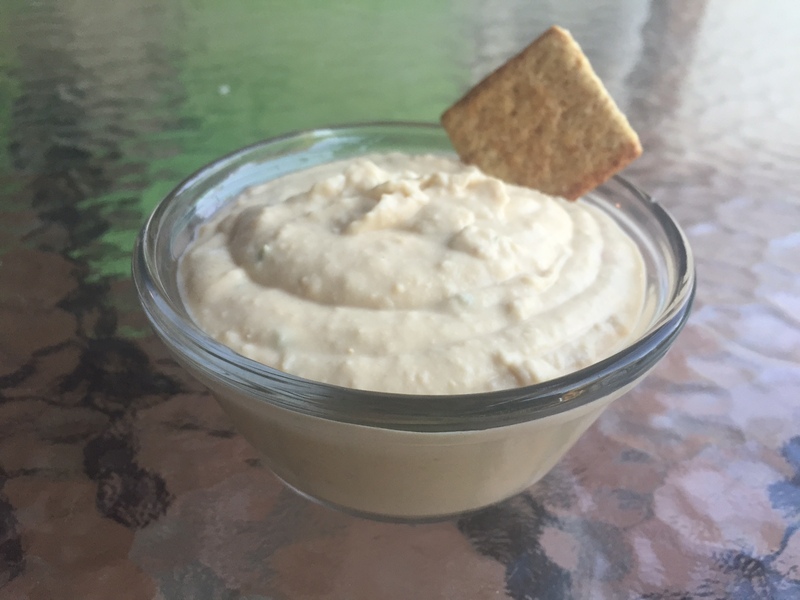 Great dip for fresh vegetables, crackers, pita… I even like a dollop mixed in with my salad. Adds a bit of texture and zing. Perfect addition to a holiday party spread. Happy New Year! These are good. So so so so good. OK, so Noeleen, my vegetarian friend who is sitting next to me right now may not think so, but the rest of my friends will. And if you’re not my friend, you will be after you make and eat these little honeys. That’s right. I’m back, baby. Broccolini is not exactly new or news-breaking, but for some reason it has escaped my ravenous appetite and hands all these years. Well, Josie and I put a stop to that! 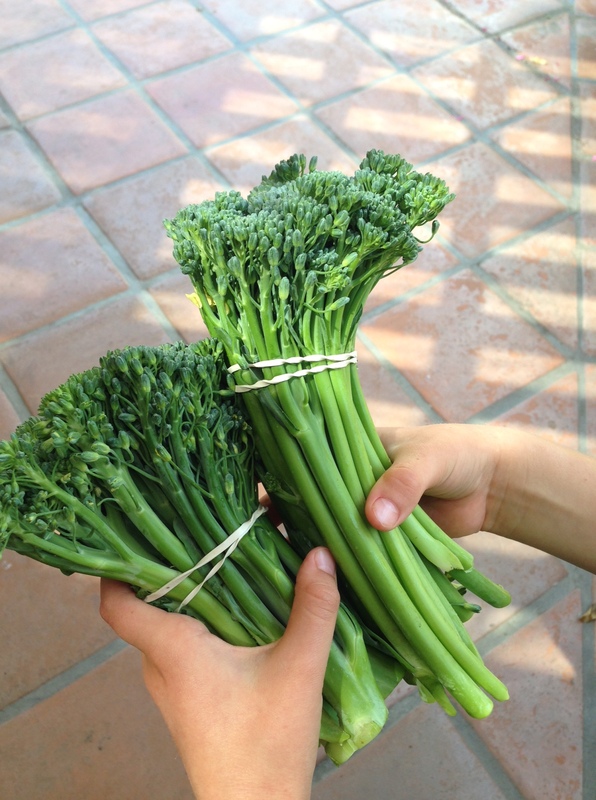 Fresh broccolini is all over my local farmer’s market and according to my Italian girlfriend, Cat, it’s one of the Italianist and tastiest veggies around. I agree. The vendor described the taste to me as “a cross between broccoli and asparagus.” I agree (again.) The easy-tasty-healthy recipe you are about to see could also be made with broccoli or asparagus but I made it with my new friend: broccolini. Ingredients: two bunches of fresh rough-chopped broccolini (approximately 2 1/2-3 cups), 2-4 fresh minced garlic cloves (I, of course, used 5), 5 tbsp. olive oil, 2-4 tbsp. butter (maybe), juice of one lemon, salt and pepper to taste, whatever pasta you like, left over diced cooked chicken. Grated Parmesan cheese. Directions: In a saute pan, heat oil, broccolini and garlic. Toss, cover on med heat. Toss again after 10 or so minutes and cover on med heat. Let this go for about 25-30 minutes (depends on the size of the broccolini pieces.) When greens are tender you are done. Squeeze that lemon juice over top and inhale… oh my. In separate pot make your pasta. 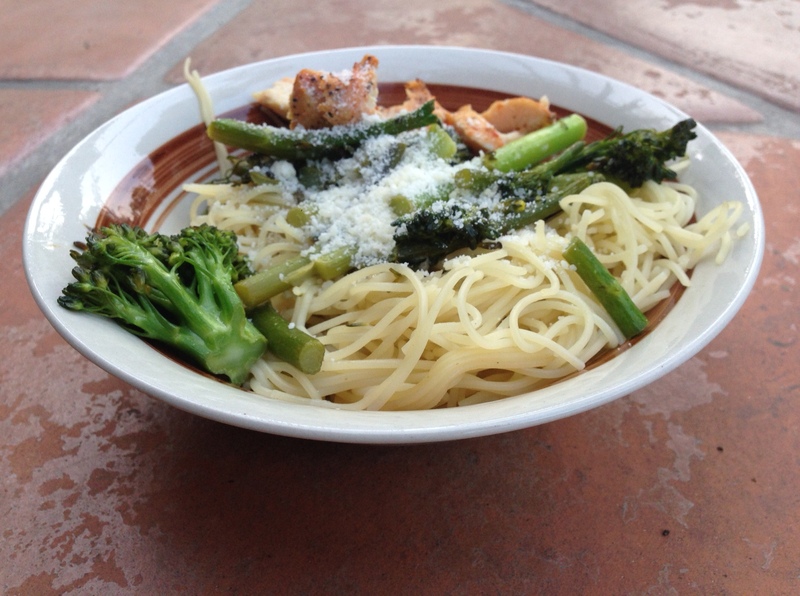 When cooked, drain pasta and mix it up with the broccolini. Add some butter if you need a little more “yum” to coat your noodles. You’re not making a sauce here, but you’ll want to get all the goodness to all the important corners of your dish. Add diced chicken and top with Parmesan cheese. Unsolicited Tips: Yes. I know that sounds like a lot of oil and butter–but it will coat the entire dish including pasta so you’ll need more than just enough to cook veggies. This is such a quick and satisfying summer din-din and a complete meal in one bowl. Get outa’ hee-ya! There are four Sophias in my third grade daughter’s class. FOUR out of less than 60 students. When Josie started kindergarten with Sofia B., Sophia D., Sophia P. and Sophia T., I think even the four Sophias’ mothers wondered how in the world we’d ever keep them all straight! Of course it didn’t take long for each of their endearing personalities to emerge–each one unique and precious in her own way–and suddenly nothing could be more clear than which Sophia is which. I used to wish for a more unique name when I was a child, but looking back now I guess I just did what today’s Sophias do: I made my way and soon nobody confused me for Michelle S. or Shelly B. In a pan, medium heat, brown the onions in olive oil (approximately 5-10 minutes.) Add garlic and rice. Stir together for a 3-5 minutes until rice has a chance to get to know the first flavors. Then add vegetables, chicken and butter and stir for another 3-5 minutes for another quick layer of introduction. Then add broth, tumeric and a dash of salt and pepper. Cover and bring to a boil. Reduce heat and cook for another 15-20 minutes or until all liquid is absorbed. Add more salt and pepper if desired. Unsolicited Tips: I make my own chicken broth, which accounts for some of the color and, I must say, some extra yummy flavor. Boxed/canned broth can obviously also be used. 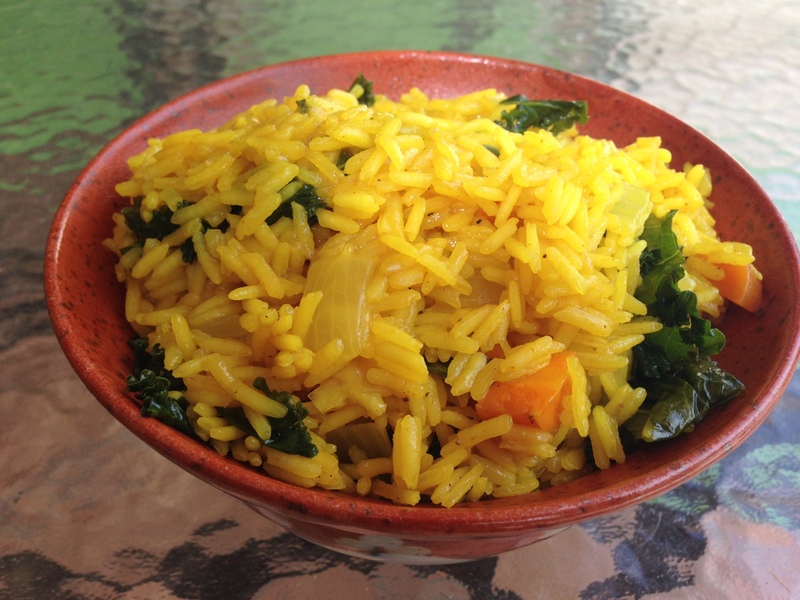 Brown rice can also be used, but it won’t absorb as much color or flavor. If you haven’t used tumeric before, you may want to start with 1 teaspoon. We love the flavor but it is new to some. Besides being yum-ola and beautiful, tumeric is known to be anti-inflamatory, an antioxidant and tons of other current healthy buzz-words. But you don’t have to take my word for it. Google it and see! Finally, in case you’re new to my blog or my life: the day I make a one-cup-of-rice recipe is the day I serve Poptarts for breakfast. Girlfriend, I doubled this ‘thang of course! p.s. Once Mike–in a show of defiance over my over-zealous approach to nutrition–bought some Poptarts. Everyone hated them, even him! Comments. I’ve been hearing little comments lately that have put my hands into a clenched fist position. A few weeks ago, after finding–among many other things–an entire orange peel in the far back seat cup holder of my minivan that had clearly been sitting there IN PLAIN VIEW for about ten days, Mike and I organized a “family car cleaning day.” Holy MOLY did my car need it. It was so bad in there I brought out the regular house vacuum to get the back of the car. I’ve had a housekeeper, we’ll call her “Saint Mari” for several years now. When the kids were little and I, as they say, had my hands full, I employed her at least twice a month. Here in Southern California this is affordable and even though it’s not the way I was raised, it’s dang hard to pass it up. I used to weep with actual tears of joy when she would show up to my house back in the day. I would count down the days until she would take my crumby floors, sticky counters and dusty shelves back to a state of relative humanity. My kids have a few chores around the house, but it’s really hitting me like a ton of bricks that they could, ahem, use a little more. Like the other day on the way to school, after a wonderful spring break, and yes, it is hard to go back to school. But honey when you come at me with “Why can’t we just stay home and relax all day like you do, mama…?” Well, AHEM, let’s just say you better not come at me with that. Because MY SWEET ANGELS we all made this mess and I don’t feel like chipping away at it all day to be met with a blank stare of utter lack of appreciation when you return home from school!!!!!!!! Do my kids weep for joy when they come home to a house free of crumbed floors and sticky counters thanks to moi? Um… no. They’re kids. Yes. Did I really appreciate everything my parents did for me until I had kids of my own? Nope. But my grandmother would roll over in her grave if she heard my kids (gulp, she probably did!) say things like this. So, after school that day we all rolled up our sleeves and got our job done. I made a list of choices which included cleaning toilets, scrubbing tubs, sweeping, vacuuming, dusting, folding laundry… Yes. All the good stuff. “Pick one job you’d like to do and then one that isn’t your favorite.” These were my directions. 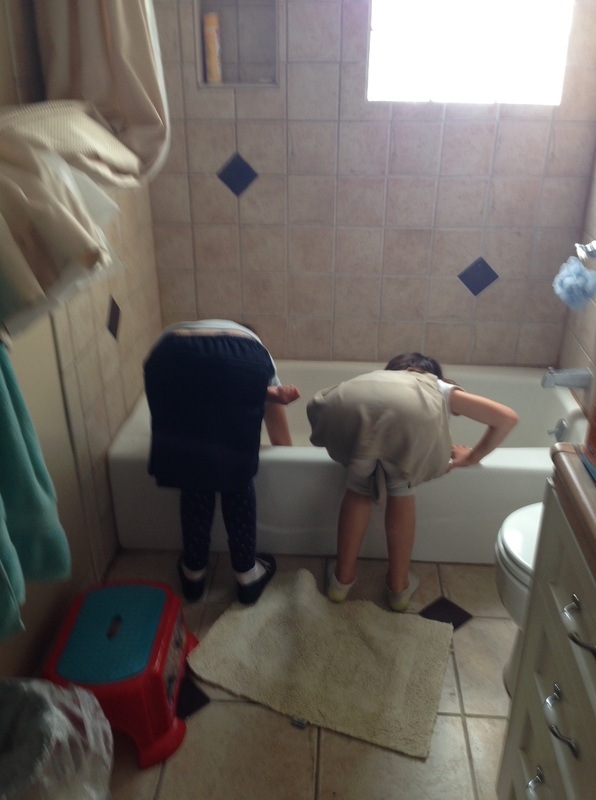 I heard a new set of comments while we scrubbed, washed, toiled and de-grimed. Comments like “This is hard!” and “Is this good enough?” (answer: no.) I corrected hands that, rather than grasping the scrub brush properly were gingerly holding it with two fingers in an effort to not get messy. Puh-lease. Kiddos: we is gonna’ step up our game! There’ll be no half-wayin’ it today! I mean really, this aggravation is my fault. Kids aren’t born saying please and thank you. They’re not born responsible, and they obviously won’t learn to appreciate the work that it takes to keep our house from becoming a filthy disaster if they don’t ever participate in the joys and sorrows of keeping it up. Was our afernoon fun? For them? Not at all. For me? You betcha’. 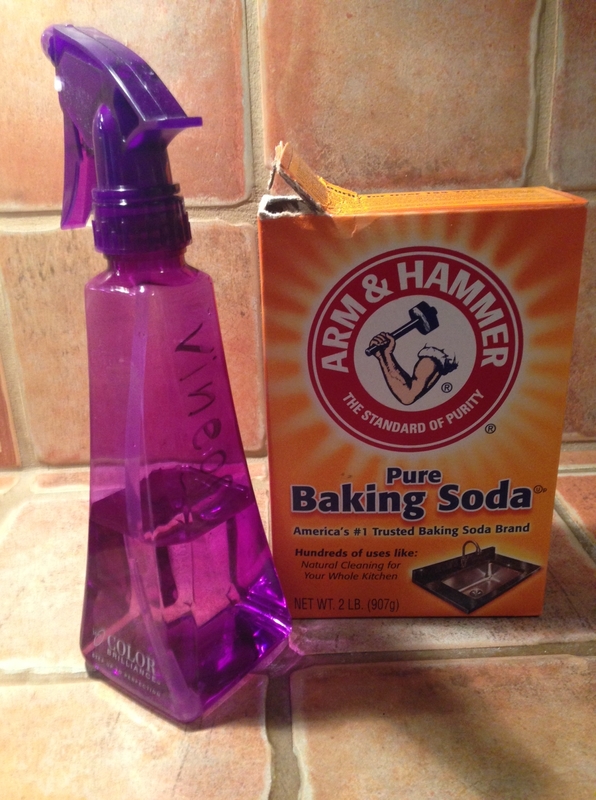 Sprinkle baking soda and spray with white vinegar. Cleans great, anti bacterial, good for the environment and not harmful to us. OK. Yes. 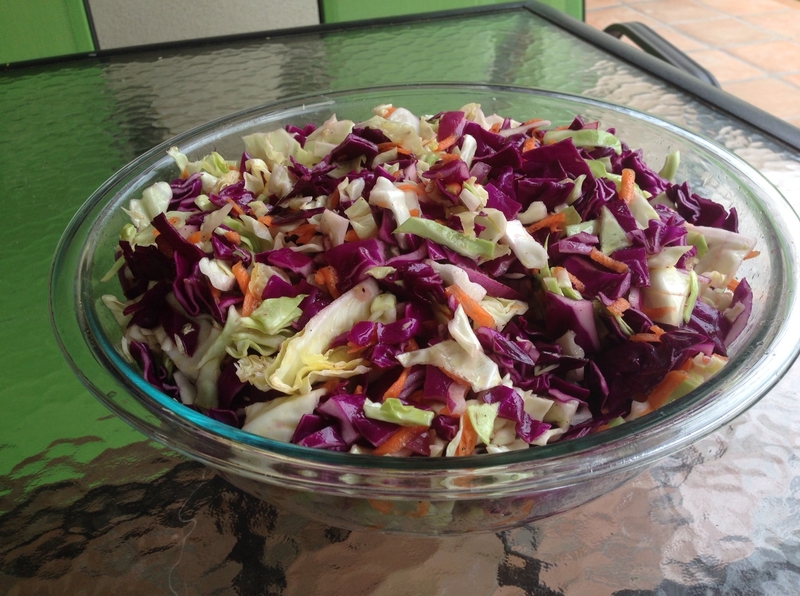 I have posted my recipe for cole slaw before. I just had to do it again because delicious fresh cabbages literally abound at local farmer’s markets right now! The high vitamin C and sulphur content in cabbage gives it strong detoxification properties. High in vitamins and fiber, low in cost and de-lish make it a winter winner at our house. This recipes forgoes the all-too-common-and-very-unhealthy ingredient of mayonnaise. Fear not! After you taste this cole slaw you’ll never reach for a jar of that white stuff again. Directions: While you are prepping the veggies, bring the vinegar, olive oil and seasonings to a boil on the stove top. With the sugar in there this will happen in about 2 minutes, maybe less. Mix your now kinda-syrupy and warm vinaigrette and pour it over the top of your naked veggies. Toss all this yummy stuff together and you’re pretty much there, my friend. Kinda important tip: This recipe tastes great after hanging out in the fridge over night. This month’s photo includes a double batch of the recipe above. Why? Because it gets even better after a few more days… leftovers = YES!! Not as important tip: I usually give a big batch a stir after several hours to make sure all the vinegar-oil mixture doesn’t rest on the bottom. Pairs well with chicken, burgers, tastes great on tacos–have fun! Final thought. Still with me? Doesn’t this salad look absolutely gorgeous!? OK. Now go get something else done. Seriously. This face. Who chooses a dang RAT as the mascot for their restaurant!? 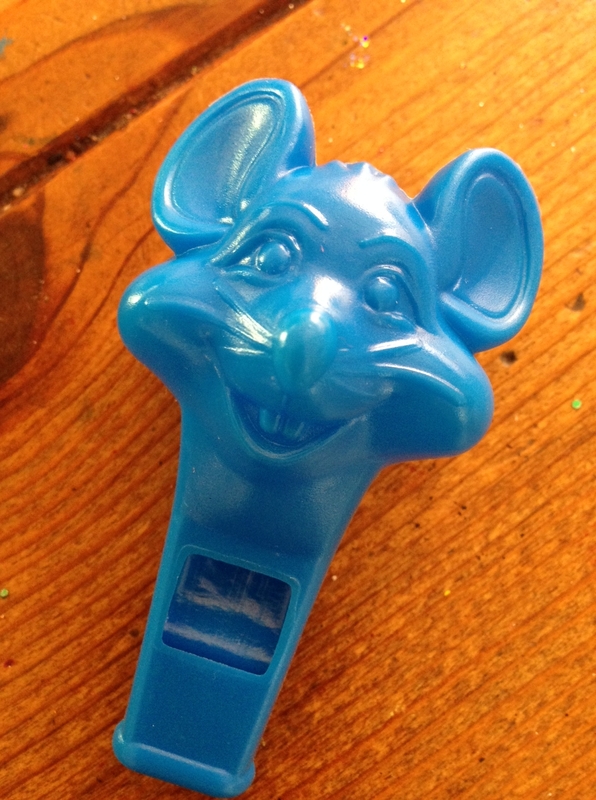 You know who… It’s every kids’ fave and every mommy’s personal hell. At least it’s my personal hell. I mean don’t get me wrong, it’s never too early to introduce your child to poor nutrition and gambling, but could they at least offer something besides a $5.00 Miller Lite for me to take the edge off? So my six year old son’s basketball team recently culminated their fabulous season with a trip to the (I can hardly say it) restaurant with the rat for a mascot. I didn’t want to go. I loved my son’s basketball season. Loved his coaches and all the other players. Wanted so badly to be a team player… but on a dark and rainy school night, after a rather hectic day, Up-chucky’s Sleeze was just not calling my name. Now only the four most important people in my life will be off consuming the fude (well it’s not food) the “rat”-urant serves to its sensory over-loaded patrons, after I fed them a hearty bowl of vegetable soup on their way out the door, of course. But at least I was off the hook. I was saved! SAVED! Thanks, Love. You’re the best. Bonus number two with this particular recipe: both of my daughters can make it single-handedly! I kinda prefer when Josie makes it because she cleans up her work space without any evidence of food preparation lickity-splickity. Rhea needs a reminder. And then sometimes another reminder. And then I go back and finish the clean up. But that’s OK. This is why kiddos have mamas, right? We’ll get there. Ingredients: 4 apples, 2 tbsp. maple syrup, few shakes cinnamon. Directions: slice up your apples and leave the skins on. Pour on syrup and add the cinnamon. Mix it all up so all the slices are coated evenly. Bake at 400 for about 30 minutes if you like your apples cooked but a bit firm, longer if you like them softer. Serve warm in a little bowl because then your dessert can be tasty and cute. 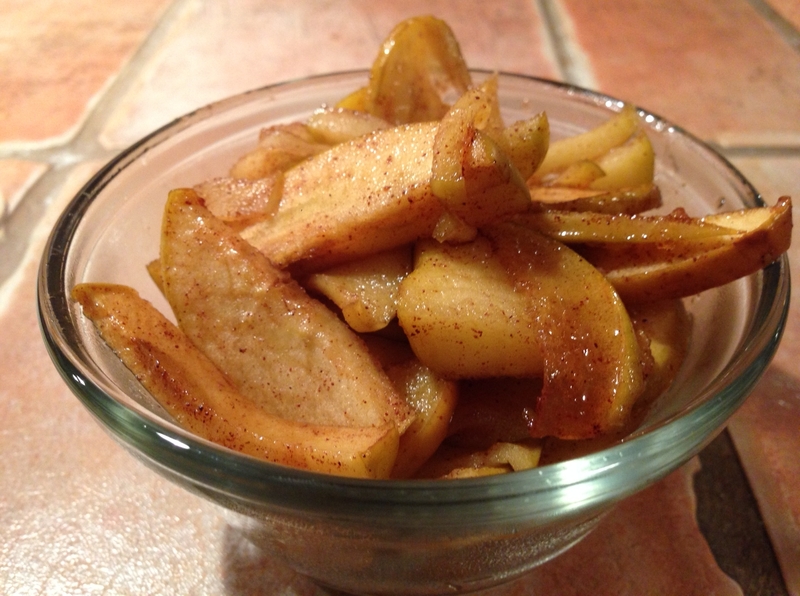 Unsolicited tips: There a tons of other ingredients you can use for baked apples. Brown sugar, butter, vanilla… but I like this recipe because it’s simple and really tasty–plus way healthier without all that other stuff. Most of the recipes I found online for baked apples directed me to peel the fruit. This, however, is not only an added step, it also simultaneously removes one of the most nutritious parts of the food! So, if you need to peel’m. If not, don’t! My guys love it with the skin on. Final tip: most recipes called for more maple syrup, but I have found that a little bit is all you need to add some sweetness but not overpower the other flavors. If you’re interested in health benefits of cinnamon and maple syrup consider yourself thus informed! OK. Moving on. So this recipe is actually called Spicy Honey Brushed Chicken, but you can make it just zingy if you live with little people who don’t like spicy foods. The trick to making this recipe work is to remove the skin from the chicken before baking so that all the yumminess doesn’t get wasted on the part that you (probably) don’t eat. 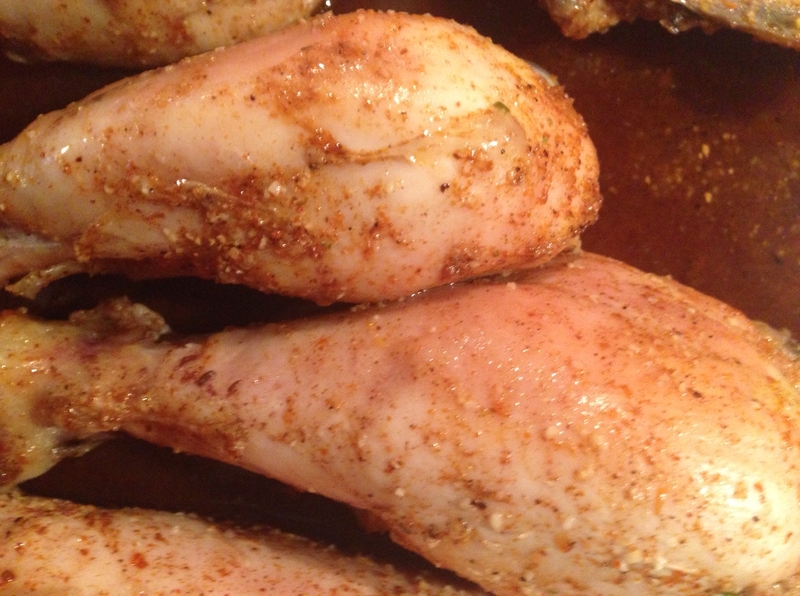 If you have skin-on chicken, try using a paper towel to better grab and pull that dang skin off. It helps a lot. Directions: Mix up all that yummy stuff, pour it over your skinless chicken and pop it in the oven at 350 for about an hour or until done. Wah-lah! Tips: So, obviously if you like it spicy, go heavier-handed with the chili and red pepper. I used a whole cut-up chicken tonight thus needing a bit more of pretty much everything so I just sorta gave a few extra shakes here and there. My kitchen smells like heaven (ask Teri who just stopped in if you don’t believe me.) There’s just something about the way the honey and vinegar do their voodoo that is exotic and simple at the same time. I’m not sure why that works out, but what’s life without a little mystery? Paired with my roasted potatoes and cole slaw tonight. Also nice with rice. Yum! Additional helpful, yet unsolicited, tips: If possible, splurge for the raw honey rather than the pasteurized type. Waaayyy healthier. And then get outa’ here with your cider vinegar benefits! OK. So, before I launch into my shpeel I want to say one thing: I really do despise it when someone professes the ease of substituting healthy options for junk food cravings. My personal defense against eating nasty snacks is to not buy them. Or, if I do buy salty thingies (I have three kids and I’m not a tyrant for heaven’s sake!) I purchase things I don’t personally like. We currently have a bag of TJ’s brand baked curly cheesy snacks… and probably some pretzels, pirate’s booty… I think that’s it. I’m mostly a savory girl, but I do get sweet cravings too. Above is one of my fave snacks when I’m in the mood for something sweet. If you promise not to snort I promise not to even imply it’s “a good substitute for chocolate chip cookies.” There is no substitute for chocolate chip cookies, honey. End your search now. But there are really tasty, satisfying, healthy foods you can consume that can give those taste buds a good hug from time to time. Enter: dates with nuts. YUM. I buy my dried fruit at the farmer’s market, but you can get it lots of places. Just be sure to try options if you don’t like it as the quality can really vary. 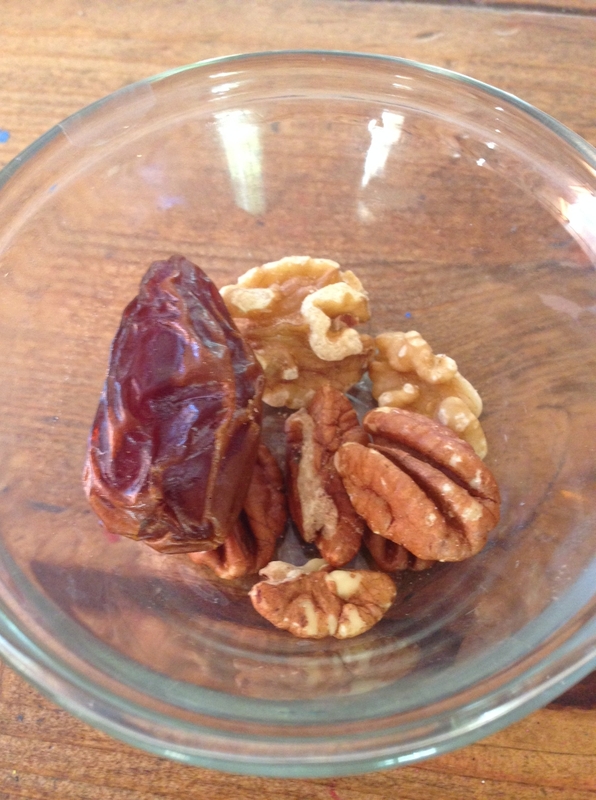 A few dried dates with some delicious nuts–especially pecans… oh my…–is just what the doctor ordered for me when I’m in the mood for something sweet. Ya’ got yer fiber, ya got yer protein, ya got yer vitamins. Another combo I like is cashews with craisins. Yum-oh. Unsolicited tip: try to eat unsalted nuts if possible. Way healthier, of course. If you feel like you just can’t do it (Mike used to be this way) mix salted with unsalted and slowly work your way toward salt free. Once you get there you won’t miss the salt at all.